Schuber Mitchell is building the home located in Anderson Estates, in Webb City, MO. * 10' ceilings with custom cabinetry and granite counter tops throughout. * Luxurious master suite with massive walk in closet. * Four sided brick exterior with extended covered patio. 3. Visiting the St. Jude Dream Home during an open house event - while tickets last! 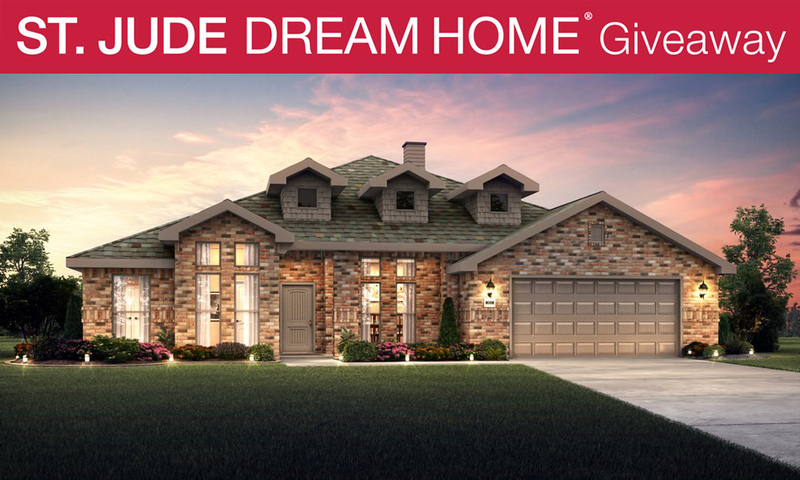 Those who reserve tickets are not only be entered to win the home but also many other prizes. The best prize is knowing that the money from those tickets help St. Jude Children's Research Hospital further their mission of helping save the lives of children with cancer and other life-threatening diseases. Saturdays: 9 a.m. - 5 p.m. & Sundays: Noon - 5 p.m.
ONLY 6,500 TICKETS WILL BE SOLD!